TENANTS – CHOOSE THE BEST SURVEYOR TO NEGOTIATE FOR YOU! Of course you want to pay the lowest rent on the best lease terms possible for you. You may have a rent review or lease renewal pending and this can cause anxiety about increased costs or even loss of your business premises. These are common concerns and the good news is that we have over 30 years of experience helping tenants through the process. A successful negotiation needs two key components – the right facts – and the right tactics. The law– most business tenancies are protected by law. This directly impacts your negotiating strength. At lease renewal there is a statutory process that must be adhered to. Your property– properties are rarely the same, even in a terrace or parade of apparently identical units. They are adapted for tenants needs over time. Features such as lifts, car parking, air conditioning or extent of frontage all make a difference. Some of these may belong to the tenant and should be disregarded when calculating rental value – if properly documented. The location impacts value related to access, travel to work distance and visibility. Your lease – leases are also not all the same! There are controls on how long you can occupy, use, sub-let, adapt and review the rent. These all directly impact rental value. There may be directions on how and when to implement a rent review. Comparable rent evidence – You need this to prove your case. You may know the building next door was let at a certain rent but what are the floor areas? What were the lease details? Were there any tenant improvements that are disregarded in the rent? Was there a rent free period or other incentive given to the tenant that effectively reduces the rent cost? How do you know what other deals have been done? A good surveyor will identify the deals and track down the detail where possible. Databases are built up over years of tracking the market and making reliable contacts in the profession. Market conditions – what were they when the comparable evidence was established? Has the market improved or deteriorated since then? How do you know? How do you prove this? It’s not a fight! We know that landlords, tenants and their surveyors are a collection of individuals with different personalities and apparently opposing requirements –so there is inevitably scope for disagreement. Whatever the history, generally both parties just want to get on with their day job and avoid a negotiation process that some can see as confrontational. It shouldn’t be. This process needs detached and astute management to know how to present the case in a way that is firm but fair. Timing– How the market moves and parties respond to each other will influence the timing of notices, counter notices, offers to settle and, if necessary, applications to a third party arbitrator or expert, court or tribunal. So it makes sense to appoint the right person to do an informed job. 1. Choose your surveyor carefully! Make sure the person doing the job for you is a Chartered Surveyor regulated by the RICS – this ensures high professional standards, adequate insurance and consumer protection. 2. The surveyor should have many years of lease consultancy experience. He or she should also have local area experience across the relevant property sectors. After all, they will have to subjectively balance imperfect data to negotiate to your advantage. 3. Discuss and agree with the surveyor the lease issues most important to you. Confirm what information you can provide, especially leases, licences and service charge information if any. The more facts and less assumptions, the stronger the negotiating position. 4. Agree up front the target timetable, method of keeping you updated and the clear fee basis. These actions should help ensure you minimise your lease costs and obligations, each year, over the remaining lease term – and maintain a relationship with your landlord. And that will be worth it. 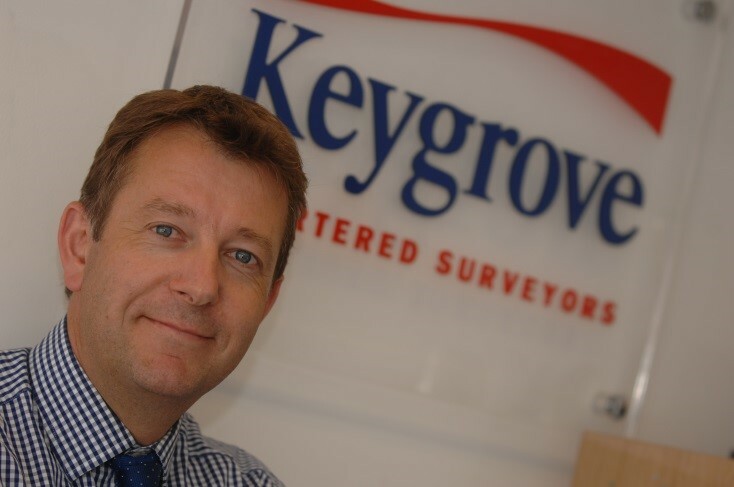 Richard has over 30 years of experience as a lease consultancy Chartered Surveyor. He has lived in Hampshire and worked in the wider region for almost 30 years.